Martellus Bennett’s season came to an end, less than a month after he was released by the Green Bay Packers and signed by the New England Patriots. The Patriots put Bennett on injured reserve on Monday, after missing last week’s game against Miami with hamstring and shoulder injuries. He had a total of six receptions for 53 yards in wins over the Broncos and Raiders. Bennett was waived in Green Bay after accusing the team physician of pushing him to play through a shoulder injury. 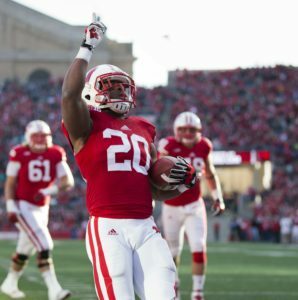 New England Patriots running back and former Wisconsin Badger, James White, who scored three touchdowns in their Super Bowl win over Atlanta, has reached agreement on a three-year contract extension with the team. White, who was set to become an unrestricted free agent after the 2017 season, is now under contract through the 2020 season. The 2016 season was White’s first full year as the team’s top “passing back”, finishing the season second on the team with 60 receptions for 551 yards and five touchdowns. He also rushed for 166 yards on 39 carries. In Super Bowl LI, White had 14 receptions for 110 yards and one receiving touchdown. He also added six rushes for 29 yards and two touchdowns. The 25-year-old White was a fourth-round pick by the Patriots out of Wisconsin. Tom Brady is the Super Bowl XLIX MVP, but little known cornerback Malcom Butler is the Super Bowl hero for the New England Patriots. Butler read slant and stepped up to intercept Russell Wilson’s attempt to Ricardo Lockette at the goal line and the Patriots ran off the final seconds for their fourth Super Bowl victory. 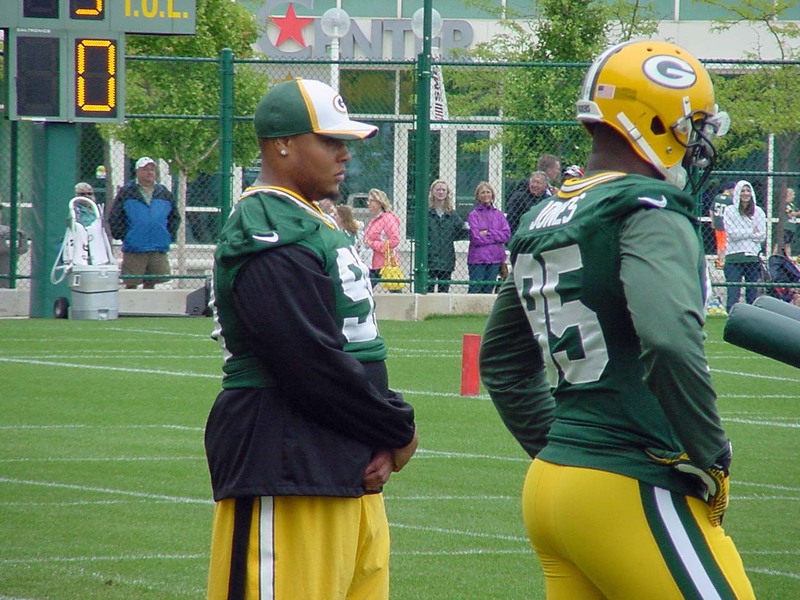 Jerel Worthy watches practice on Tuesday, then gets dealt to New England. 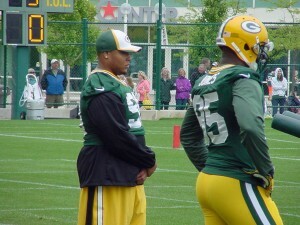 The Green Bay Packers have traded third-year defensive end Jerel Worthy to the New England Patriots. The deal is pending a physical. The Packers are set to receive a conditional future draft pick, reported to be a 7th round selection. The Packers gave up a 4th round draft pick in 2012 to move up from 59 to 51 and select Worthy in the second round out of Michigan State. But Worthy never developed into the player the packers had hoped he’d be. Injuries had something to do with it. Worth recorded just 14 tackles and 2 1/2 sacks in his rookie season, before tearing his ACL in Week 17 against the Minnesota Vikings. That injury kept Worthy from being productive in his second season. Then during this off-season, Worthy suffered a lower-back injury while weightlifting. He’s been on the non-football injury list throughout training camp. 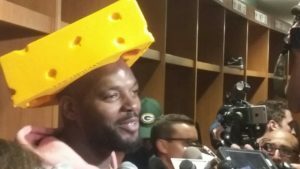 Hours before the trade on Tuesday, Worthy said he was good to go and waiting for the green light from the Packers to let him practice for the first time. The Packers selected six straight defensive players in that 2012 draft, including Worthy in the second round. Worthy, Jerron McMillian (4th round) and linebacker Terrell Manning (5th round) are all gone. 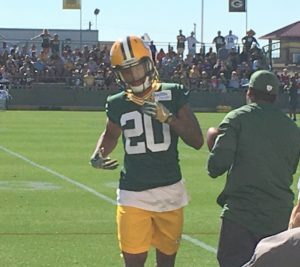 Mike Daniels, Casey Hayward and Nick Perry still remain, although the jury is still out on Perry. Worthy on Tuesday was optimistic about what 2014 will bring for him. Now that optimism will have to carry over to New England, where he is expected to soon become a Patriot.